Popular drama “Descendants of the Sun” racked in more than 2 billion views on the Chinese streaming site iQiyi, the drama’s production company NEW said Wednesday. 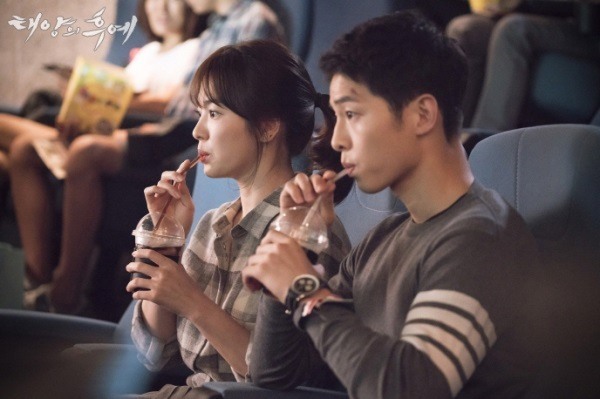 The 16-episodes series, starring actor Song Joong-ki and actress Song Hye-kyo, has been airing simultaneously in Korea and China since its premiere in February. The first four episodes of the drama were watched more than 300 million times on iQiyi and after eight episodes, the drama broke the 1 billion milestone. In Korea, the drama is a massive hit, surpassing more than 30 percent viewership rating nationwide. The drama centers around the romance of army captain Yoo Si-jin, played by Song Joong-ki, and doctor Kang Mo-yeon, played by Song Hye-kyo in a fictional war-torn Mediterranean country Uruk. The drama, penned by star writer Kim Eun-sook of “The Heirs” and “Secret Garden,” also stars Jin Goo, Kim Ji-won and Onew of SHINee. “Descendants of the Sun,” with only four remaining episodes, airs every Wednesday and Thursday at 10 p.m. on KBS2 network.